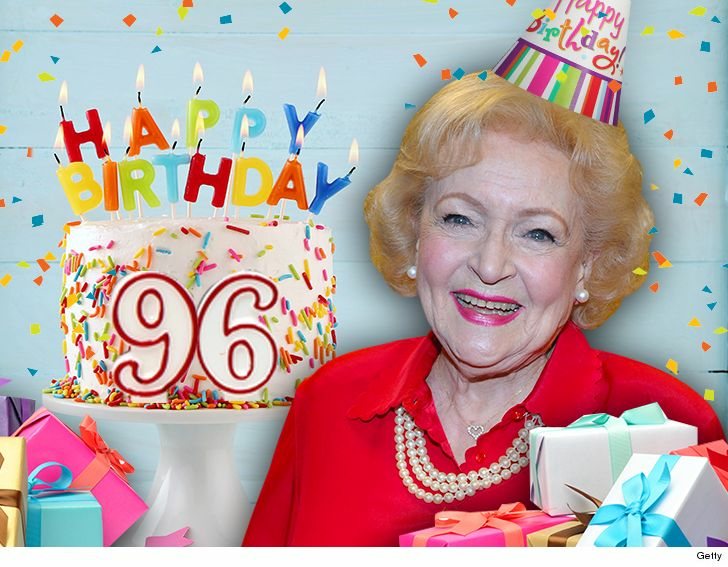 Betty White‘s trending online, but don’t worry … it’s for a great reason — her 96th birthday! Betty’s been one of Hollywood’s hardest working leading ladies for years, but today she’s taking it easy. A rep for the TV legend tells us … Betty’s relaxing Wednesday for her bday and plans on having a low-key dinner tonight at a friend’s house. As you’ll recall … White worked on her birthday when she turned 95, prepping for a guest spot on the sitcom “Young & Hungry.” No such projects this time around, but we’re told she’s in great health and as spry as ever. 96,…AND NOT A DAY OVER 36??? ?